If you want to hear stories of pirates, galleons, lost treasures, horrendous deeds, and gallant heroes, this is a place to find them. If you need illustrations of pirates, galleons, horrendous deeds, and gallant heroes, this is a place to get them. Archaeologists have recovered many artifacts, including a number of medical instruments. These artifacts, combined with historical records, paint a picture of a pirate captain who tried to keep his crew in fighting shape. Captain James Hook is the main antagonist of the Peter Pan Disney franchise. The captain of a crew of pirates, Captain Hook has long since abandoned sailing the high seas in favor of having revenge on Peter Pan for ruining his life (Peter having cut off Hook’s left hand and fed it to the Crocodile, considering it, by Mr. Smee, a “childish prank”). This site aims to tell the fantastic story surrounding the life and times of the infamous Captain Kidd. from World Village Games, LLC• Card Game Rules for 1 to 4 players. Minutes to learn – Hours of fast-action fun! • Exciting play for family game night, group game night, parties, gifts, and solitaire. • Kids won’t know they’re learning vital basic math skills because they’re having too much fun. • Perfect mix of skill and luck. 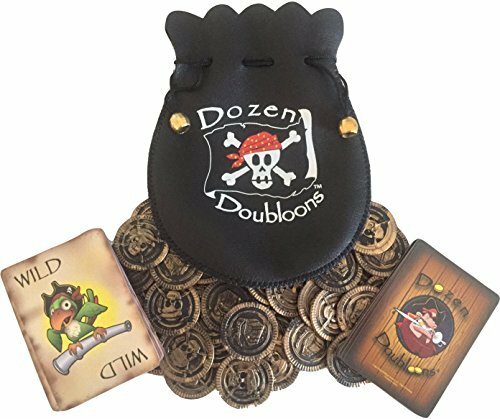 • Game includes: Faux leather bag with jeweled drawstring, 45 plastic doubloons, 55 game cards, rule sheet. Learn how to play on our website. 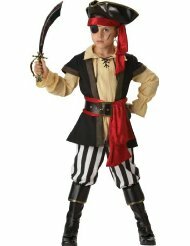 Students who take and pass courses in “pistol, archery, sailing, and fencing” are deemed, pirates. And while this was done by students just for kicks, MIT has decided not to ignore the swashbuckling that’s been going on and will now issue these students actual, physical pirate certificates. Joe’s Uncle gives him a mysterious book for his birthday (THE Book! ), and when Fred wishes for buried treasure, the boys find themselves on the wrong end of the gun barrel of Edward Teach – more familiarly known as the vicious, infamous pirate Blackbeard. The definitions on this page, reflect the changes in meanings attributed to the words that are related to piracy (as well as the word piracy itself) from the middle ages up till now. Pieces of Eight and Doubloons: Reales and Escudos. During the Golden Age of Piracy, Spain minted coins in silver and gold. The silver coins were known as Reales (Reals) and the gold coins, Escudos (Escudo). The famous “Piece of Eight” was an 8 real silver coin that had a distinctive “8” stamped into it. Plan a summer road trip to a museum that offers pirate history, artifacts, and memorabilia. Many provide educational materials for teachers and students, as well as guided tours. Few of us want our babies to grow up to be pirates. When it comes to social responsibility, compassion, and moral rectitude, practically anybody is a better role model. Pirates fight with cutlasses, use objectionable language, consume unhealthy foods and beverages, and steal stuff. They are totally reprehensible. No wonder kids love them. Site is packed with biographies of famous pirates, even has a message board for your questions. Sells pirate flags. Within the pages of Pirates & Privateers, you’ll find articles on all aspects of maritime piracy from ancient times to modern day. One page has reviews of pirate books for young readers. Go along on an archeology expedition to explore and preserve Blackbeard’s flagship, sunken off the North Carolina shore. Another English “sea raider” commissioned by the English to prey upon the Spanish. Sir Henry Morgan had been a heavy-drinking, fighting man of much charisma and equipped with an indomitable will to succeed. Ever since Dave Barry mentioned us in his nationally syndicated newspaper column in 2002, what once was a goofy idea celebrated by a handful of friends has turned into an international phenomenon that shows no sign of letting up. Whether you be new to the notion, or one of the millions who’ve made it your own personal excuse to party like pirates every September 19th, welcome! Stick around, check out our social media sites, an’ learn all about September 19 – International Talk Like A Pirate Day! Common piracy by the Barbary States blossomed into a sophisticated racket in 1662, when England revived the ancient custom of paying tribute. You can search and read each chapter of Robert Lewis Stevenson’s book here. Get out your eye patch and saw off your leg — it’s time to launch the Hispaniola and go search for Captain Flint’s lost cache of Spanish gold! Bainbridge was appointed to command the Essex in 1801 as part of a squadron under Commodore Richard Dale, to cruise against the North African Barbary powers. The United States, under Thomas Jefferson, had decided war was a better alternative than tribute. In modern times, a Naval vessel was named after him, and involved with rescuing an American ship captain from Somali pirates. Dressed as a man, Mary was on board a vessel bound for the West Indies when it was overtaken by the pirate, Captain “Calico Jack” Rackham. She accepted his offer to join the pirates on board his ship, the “Curlew”.